Samsung has had quite a run this year! After the success of the Galaxy S9/S9+, Samsung bathed in the glory of the Galaxy Note9. The phone was an overall refinement of last years Galaxy Note8. Samsung listened to the feedback of their consumers and made improvements to the Note9. It also came with a bigger battery, better cameras, improved S-Pen and much more. But with all that, is the Samsung Galaxy Note9 still relevant? Is it the best flagship smartphone that you can buy right now? And most of all, is it worth the premium price tag of Rs 1,09,900 in this day and age? Well, let us find out the answers to these questions in this full review. A quick disclaimer! Before we get into the review I would like to mention that I have been using the Samsung Galaxy Note9 for almost two months now. Unlike other reviews, this one is going to be purely based on my experience and how the device held-up in the above mentioned time span. So, without wasting your time any further, let’s get started! Before we dive deep into all the technical stuff, let’s first talk about the in-hand feeling of the Samsung Galaxy Note9. It is as important for a device to have a superior in-hand feeling as the powerful internals. And lucky for the Note9, the phone absolutely nails the in-hand experience. Being made out of glass and metal, the phone feels quite premium in the hands. The chamfered edge makes holding the phone much easier and comfortable. This is much needed as the phone is a bit slippery! That said, it is a positive trade-off to have a premium looking and feeling smartphone. Speaking of positive trade-off, another thing that I would like to add to the in-hand experience is the thickness of the phone. The Galaxy Note9 is a thick phone by itself! And adding a case to the phone further adds a level of bulk to it. Coming from a Note8, the heft of the Note9 has been quite disheartening. Although having a thicker phone is beneficial on the Note9 (larger battery), the heft is something I haven’t gotten used to. The Samsung Galaxy Note9 is a multi-media powerhouse! The large 6.4-inch Quad HD (1440 x 2960) AMOLED display makes for quite an experience. The phone still maintains the 18.5:9 aspect ratio from the Note8 but with thinner bezels. And let me tell you how great the media consumption experience has been on the Note9. Lately, I have been drowning myself in shows like Criminal Minds and Assassination Classroom (Anime). And the Galaxy Note9 has been a perfect companion during this escapade. 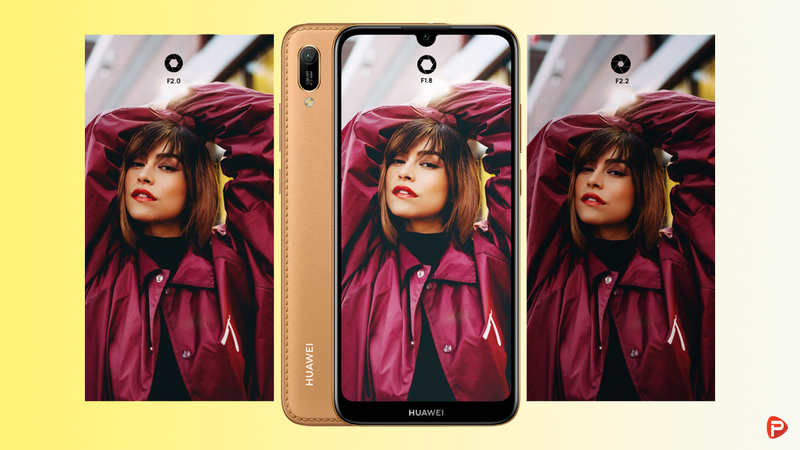 This is largely thanks to the vibrant colors and sharpness that the display offers. And the icing to the cake of the whole multi-media experience on the Note9 is its dual-speakers. The speakers on the phone are super loud and pack a punch. In fact, it gets so loud that I have to drop two stops from the max volume. A great improvement over the Note8! 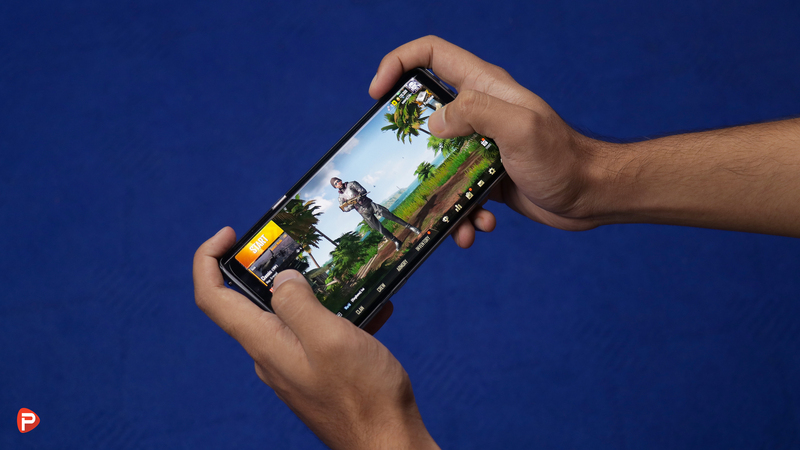 The gaming performance of the Samsung Galaxy Note9 is also phenomenal! The infinity display coupled with the Mali-G72 MP18 GPU and 6GB of RAM made up for a surreal gaming performance. Like most of us, I have been playing PUBG Mobile a lot these days. And I am happy to report that the game runs flawlessly even under the high settings. Needless to say, the phone can easily handle other games without any problems. 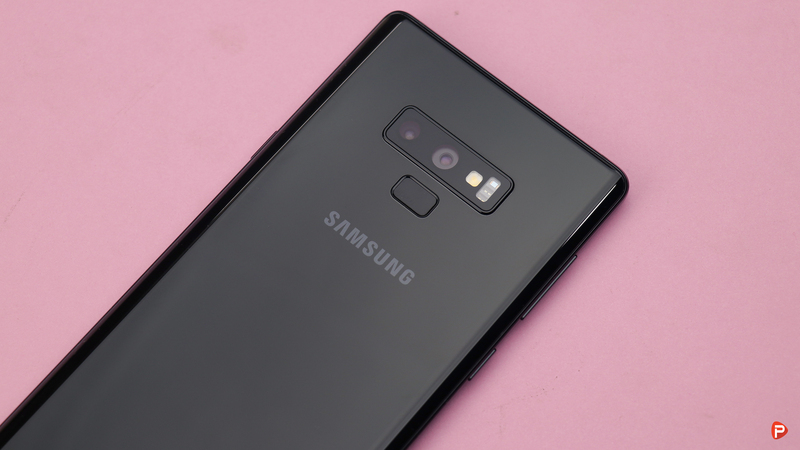 The Samsung Galaxy Note9 packs a dual-camera set up made by two 12MP lenses with a variable aperture. The primary lens goes from f/1.5 to f/2.4 while the second sensor has a fixed aperture of f/2.4. The image quality from the shooters was amazing with great details, sharpness, and vibrancy. Shooting pictures from the pair has been a delightful experience. I exploited all that the cameras on the Note9 had to offer during the festive season. And to be honest, I couldn’t be happier with the camera on the Note9! The low light performance of the camera also has improved compared to the Note8. The low-light images have more details in them with a decrease in the graininess. Although, the camera still struggles with properly exposing night time shots. A manual reduction of exposure is needed to get the best low-light image. Samsung definitely needs to work on improving this! Besides having a kickass image quality, the camera on the Note9 has a slew of modes and features. Everything from Live Focus to Super Slow-Mo, Hyperlapse, and Live Filters are here. The camera also comes with a Scene Optimizer and improved HDR capabilities. Something new with the Note9’s camera is the flaw detection capability. The camera will alert you when it detects any flaws in the photos like a blink or a blurred movement. Although a bit annoying, this actually is super useful! It has saved me a couple of times from the despair of not getting a perfect shot. 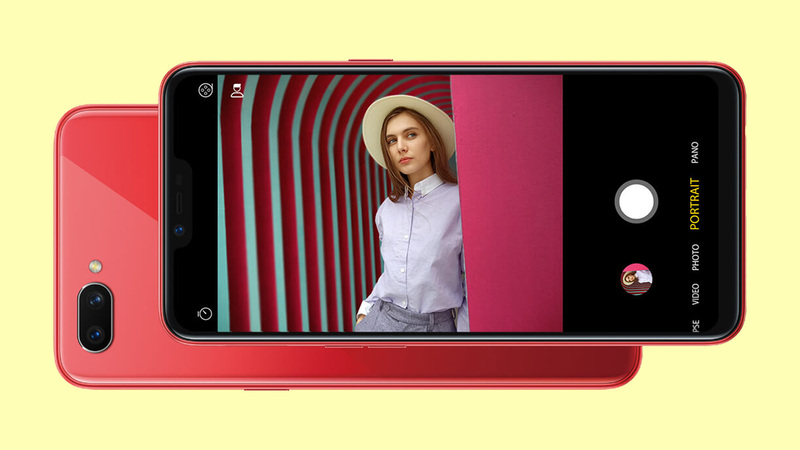 The phone also comes with an 8MP selfie shooter with an aperture of f/1.7. The shooter is much or less the same one I have seen on the Note8. It takes some amazing selfies in good lighting condition but struggles a bit in the vice. Something new with the front-camera is the new AR emoji. You can create an emoji version of yourself and play around with various videos and stickers. Although not that interesting, it is a fun little feature to use. Like everyone else, my daily activities constitute of scrolling through Facebook, checking my E-Mail and calendar, binging on some shows, and a lot of messaging & web surfing. 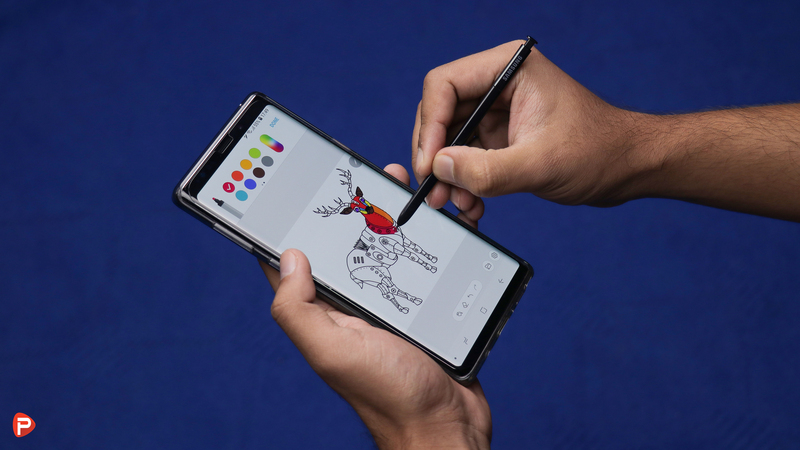 The Samsung Galaxy Note9 was easily able to handle these task, no-brainer! I also didn’t notice any visible lags or stutters while doing so. 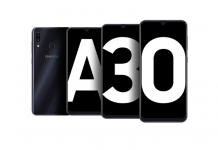 This is largely thanks to the octa-core Exynos 9810 Octa processor that the phone packs. I also listen to a lot of music, use a billion apps, and take a ton of photos on a daily basis. 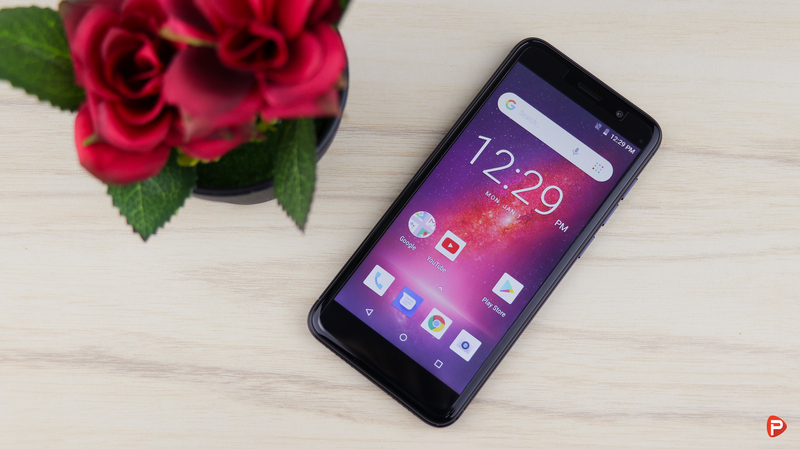 The, already available, 128GB of internal storage and support for micro-sd card helps keep the phone ready for more files. This inclusion is a live saver as I have 53.56GB of used storage. Imagine if I had just 64GB of internal storage. This would have been a problem! I know, I know I can always stick a micro-sd card in there but I really don’t own one right now. And I would rather resort to transferring the file to a computer than buying an sd-card. So yeah, having 128GB of inbuilt storage, as a default option, is a boon. Kudos to Samsung for that! Something else that changed my day-to-day experience with the Note9 is the S-Pen that the phone packs. 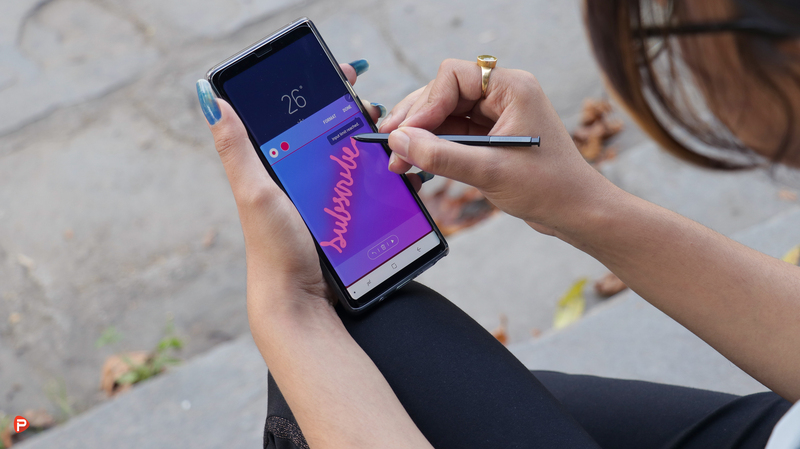 It is the single most defining feature of the Note9 or any Note device for that matter. And among the many generations of the, Samsung made, stylus this one probably is the most useful and feature packed. 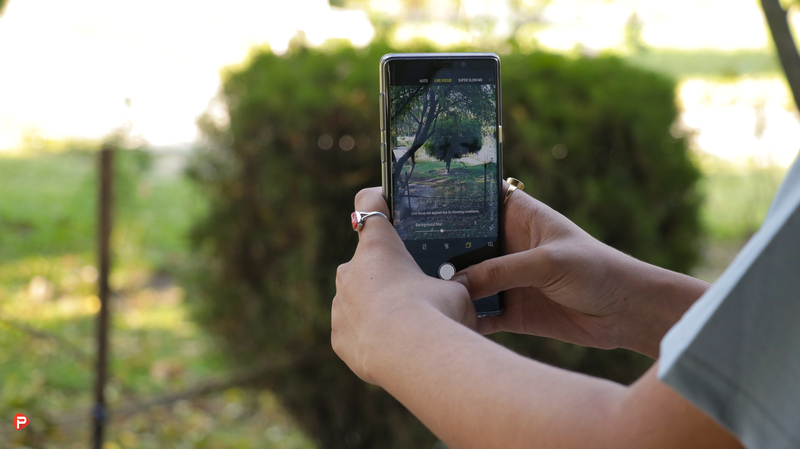 From having Bluetooth capabilities to charging wirelessly, the S-Pen on the Note9 is a boon. And believe it or not, I use it all the time! This is the single inclusion that makes switching to a non-Note device that much difficult for me. From being able to doodle on-top of a picture to making use of it as a camera shutter, the S-Pen holds a special place for users like me. Moving on, let’s talk about the battery life of the Galaxy Note9. With the large 4000mah non-user removable battery that the phone packs, the battery life on the Note9 has been very good. As I mentioned in my battery review article, the battery life initially was not that good. But slowly over the course of time and two software updates later it has gotten better. Now I am getting around 6-7 hours of on-screen time with my usage. This is quite impressive for the phone! For more in-depth details on the battery life of the Note9 read our battery review of the phone. 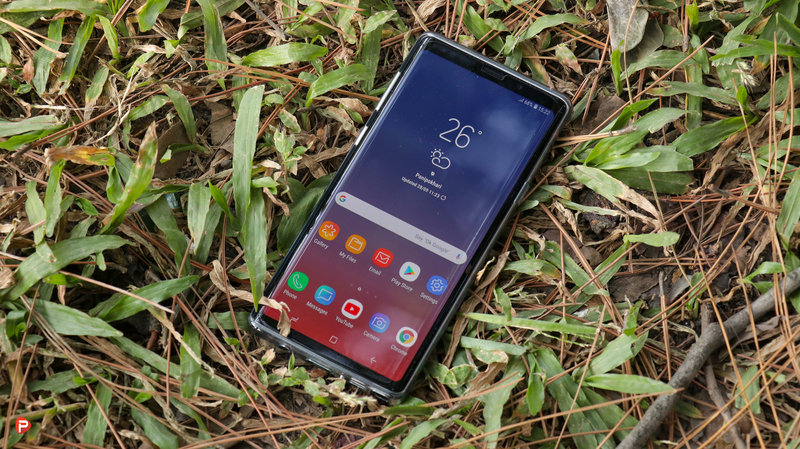 The Samsung Galaxy Note9 runs Samsung Experience 9.5 based on Android 8.1 Oreo. The UI on the phone is very smooth with no visible lags or stutters. Everything is where it should be with the option for customizability. The UI, although the same as the Note8, packs some subtle visual changes. That said, this iteration of Samsung’s UI is smooth, intuitive, and useful than ever. All the usuals like the Always On Display, Game Launcher, and even Bixby is here. The phone also comes with an improved Face Unlock mechanism. Among the many Biometric options that the Note9 offers, like the Fingerprint scanner, Iris Scanner, and Intelligent scan, the Face Unlock feature probably is my favorite. Don’t get me wrong, all of them work as intended but I find the said feature a bit more convenient. While on the topic, let me show my appreciation to the improved placement as well as the accuracy of the digit sensor. It is blazing fast now! 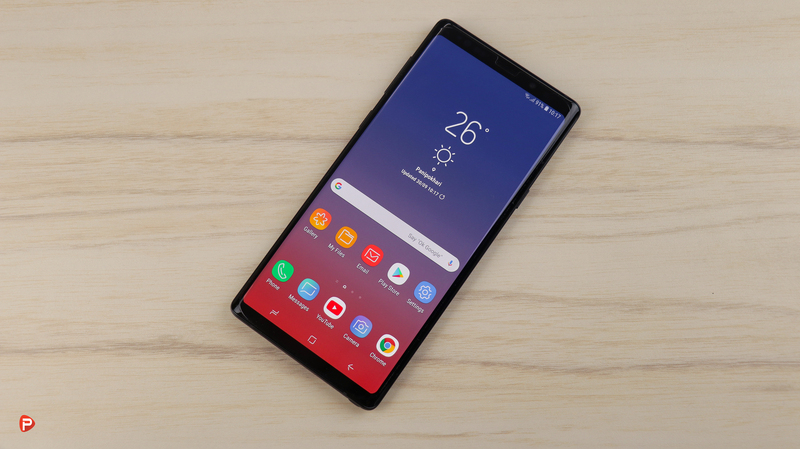 The Samsung Galaxy Note9 is an amazing flagship smartphone that has a lot to offer. It builds on everything the Note8 had to offer and improves upon it. Although an iterative change, the phone holds its own ground. The Note 9 has a better camera, larger battery, loud dual-speakers, fast fingerprint scanner, and an improved S-Pen. This definitely is the best that Samsung has to offer! 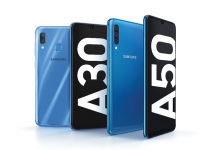 But is the phone the best flagship smartphone among all the other competitors? Is the price well worth it? Well, the answer to both these questions is yes! For all that the Samsung Galaxy Note9 has to offer, the phone definitely is the best there is. For a flagship, the phone packs everything you would expect and then some. 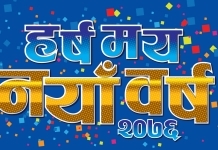 It without a doubt is befitting of its premium price tag of Rs 1,09,900 here in Nepal. I highly recommend this phone! 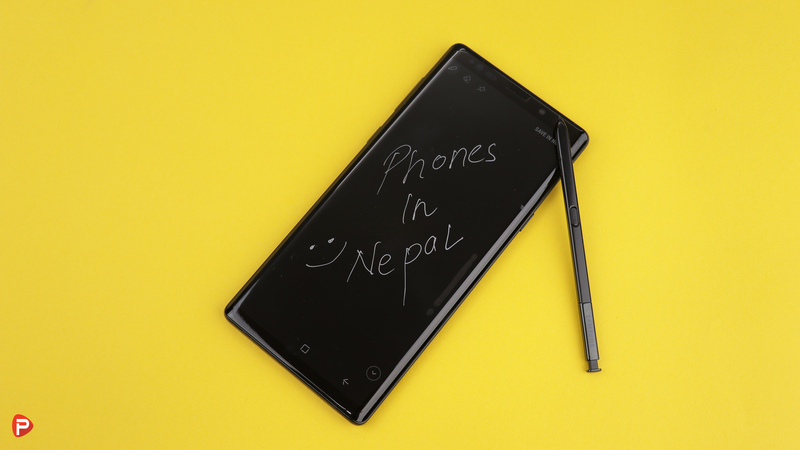 Thank you for reading our Samsung Galaxy Note9 review in Nepal! 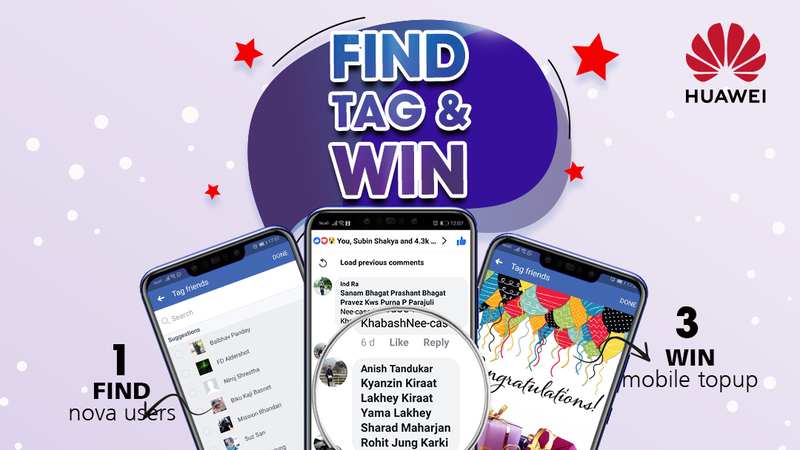 If you have any questions regarding the phone please feel free to drop them in the comments down below. And for more tech reviews like this, like our Facebook page and also visit our website regularly. Please also subscribe to Phones In Nepal Youtube channel for awesome tech videos and discusions. The Samsung Galaxy Note9 is an amazing smartphone for the price of Rs 1,09,900. It builds on what the Note8 had to offer and improves upon it. Although an iterative change, the phone holds its own ground. The Note 9 has a better camera, larger battery, loud dual-speakers, fast fingerprint scanner, and an improved S-Pen. For all these are more, we highly recommend the Samsung Galaxy Note9.